We’re all aware by now of the demise of Florida’s winning streak against Kentucky. Something else we should be aware of? Florida has not had an undefeated season since 1911. Since then, the Gators have won three national championships, eight SEC Championships, and reached the SEC Title Game twelve times. Now, this is not to say that the 2018 Gators were or still are capable of accomplishing anything like that. The point is that the first regular season loss to an inferior team, by itself, has historically never cost the Gators anything. So for this team, the focus has to be to move on, learn from the loss, and find its identity. Because while the first regular season loss to a lesser regarded team has yet to destroy a Gator season, a second loss- to anybody- will. To avoid that, Dan Mullen has a lot of questions to answer. It’s not really much of a debate that he has addressed his team’s biggest problems with recruiting hardest at his current positions of need. 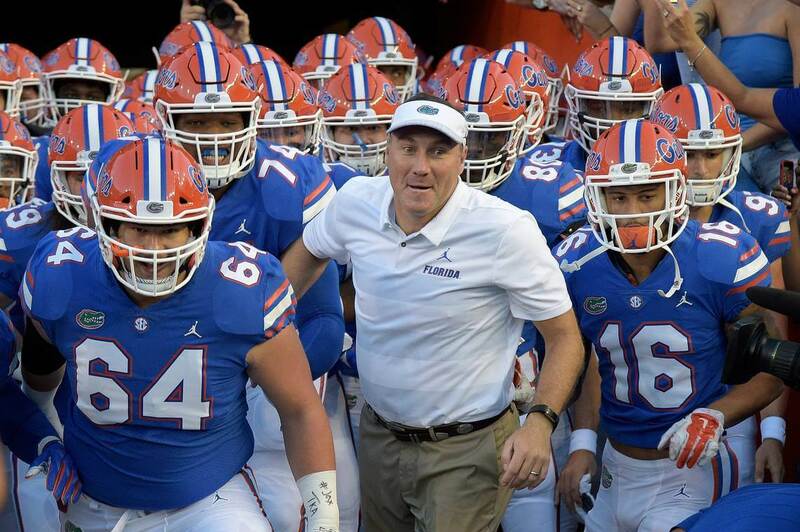 I do believe that Emory Jones will one day be a star, and with a trio of four star linebackers committed in Mohamoud Diabate, Diwun Black and Tyron Hopper, the Gators’ overall weakness at the middle level of their defense is being dealt with as well. But that’s not going to help his current team, which still has ten more games to play. I don’t think anybody who isn’t a full fledged masochist enjoys declaring a season to be over one sixth of the way through it, so we can’t as fans give up on it as bad as things look right now. More importantly, this team can’t give up. And if you’re thinking that this is something so cliche and boilerplate, remember that the Gators gave up after losing to Texas A&M last year- halfway through the season. For the most part, this team consists of the same players that were on last year’s abysmal 4-7 squad. They’ve already quit on one season, so new coach or not, it’s not exactly unfathomable that they’d quit on another. So I’m going to implore this team to bounce back. To be completely honest: yes, this team is going to forever be remembered as the one that broke the incredible streak against Kentucky. And nothing will ever change that, nor will anybody ever forget that. But if this team miraculously bounces back to go 9-3, beats FSU to end the streak, pulls a truly epic upset over Georgia and wins a bowl game to reach double digit wins, this team will ultimately be remembered fondly for the positives. We as fans will still remember that this 2018 team was the one to lose to Kentucky, but this team also accomplished those other things, we aren’t going to care. I rarely if ever speak on behalf of people other than myself, but I feel safe in assuming that we will all take that trade off. Obviously that isn’t going to be easy. And the odds of this team accomplishing anything positive do not look especially high after its last performance against Kentucky. But that’s why they play the games.